A Rinkya Blog: Catch a Thief With This Japan Gadget! These cleverly designed paint balls implode on contact! Billed as a great way to run off a criminal, mark them with this paint and the cops will know! 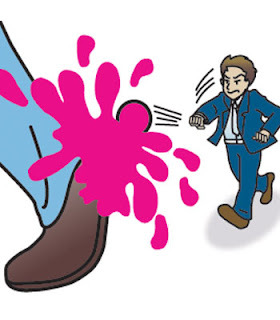 Of course, since Japan is so polite, the paint is washable, so after the thief is caught, all paint can be removed! But for serious crim-tracking, perhaps they should make the paint harder to get off. What if they just jumped into a river? I agree kids would love this. 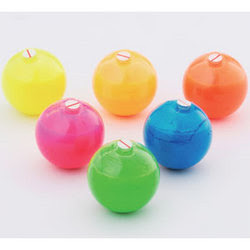 It would actually be funny to give a bunch of the paint balls to a gang of 10 year old kids and get them go. Good idea, but what if the thief decides to beat the shyte out of the person who threw it at him (or her... Let's be fair)?